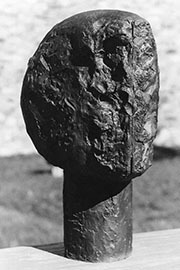 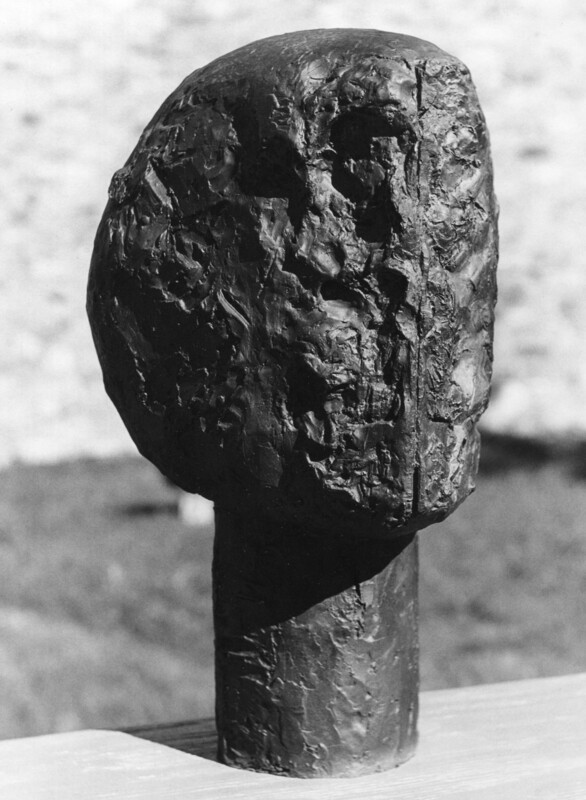 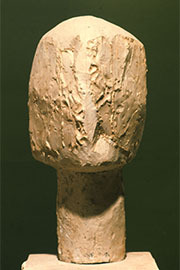 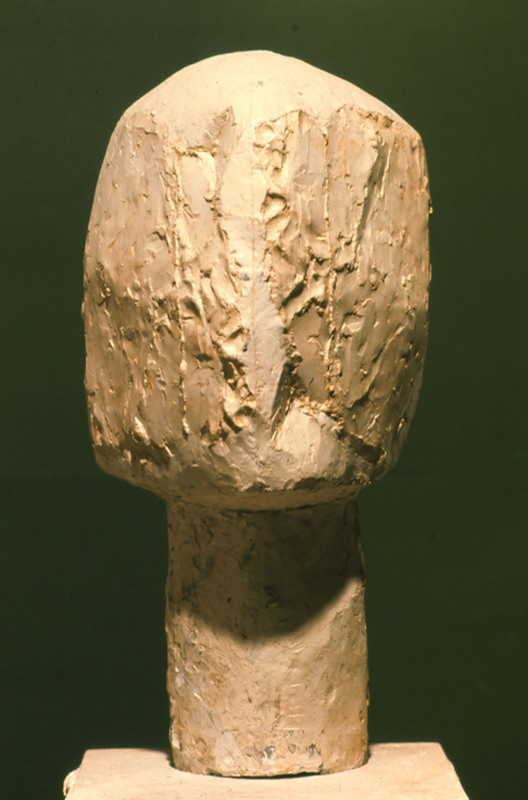 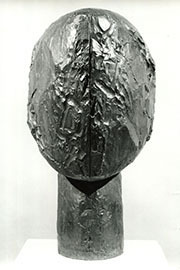 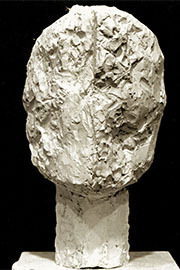 These heads - about forty of them - were made between 1972 and 1976. 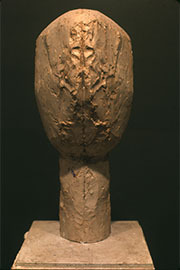 They were constructed in clay and plaster under symmetrical lighting, which is an integral and essential part of the sculpture. 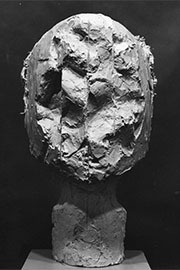 Often, parts of one side of the work are precise inversions, achieved by technical means, of the other side, so that convexities on one side, find responsive concavities on the other. 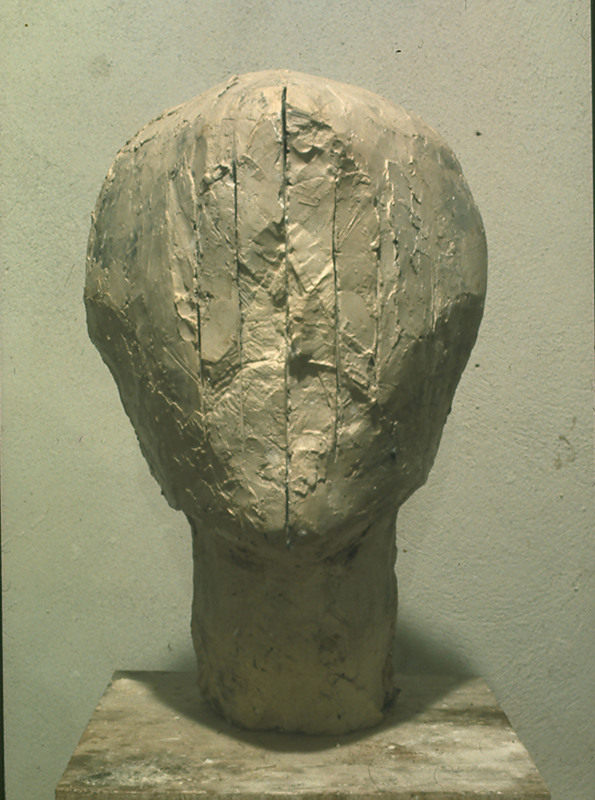 This occurs variably in these heads, not as a fixed or rigid principle of construction. 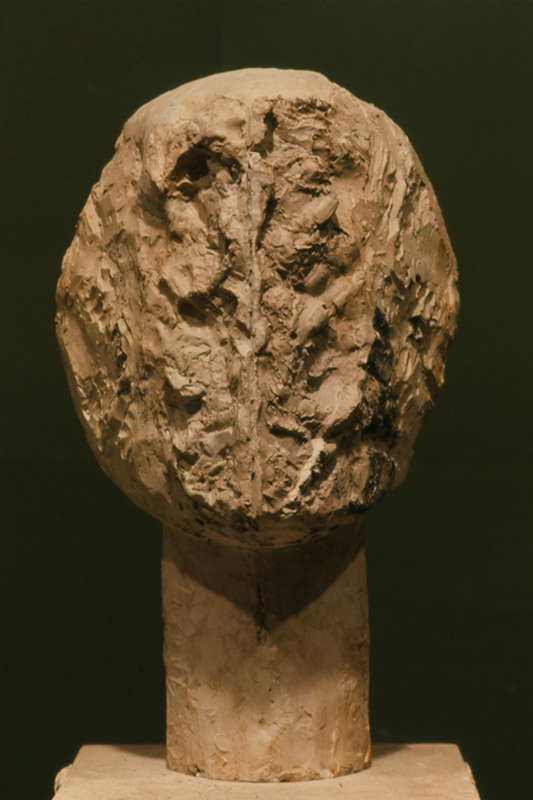 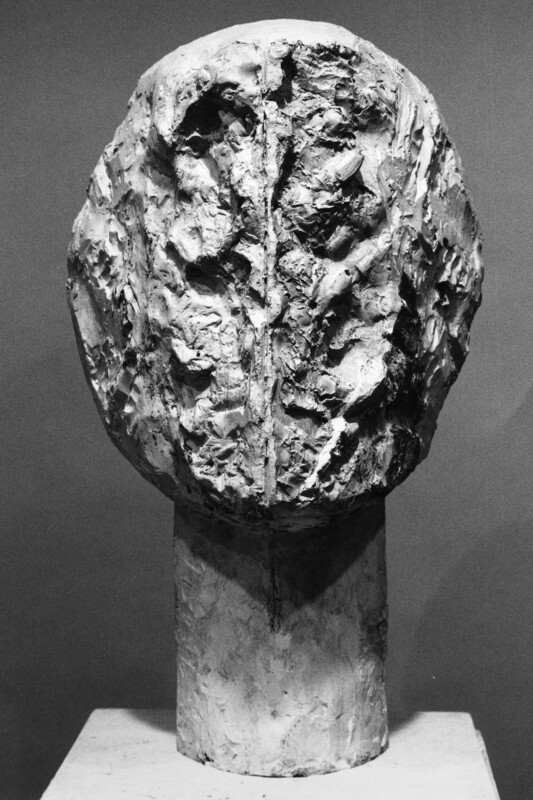 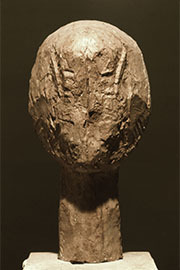 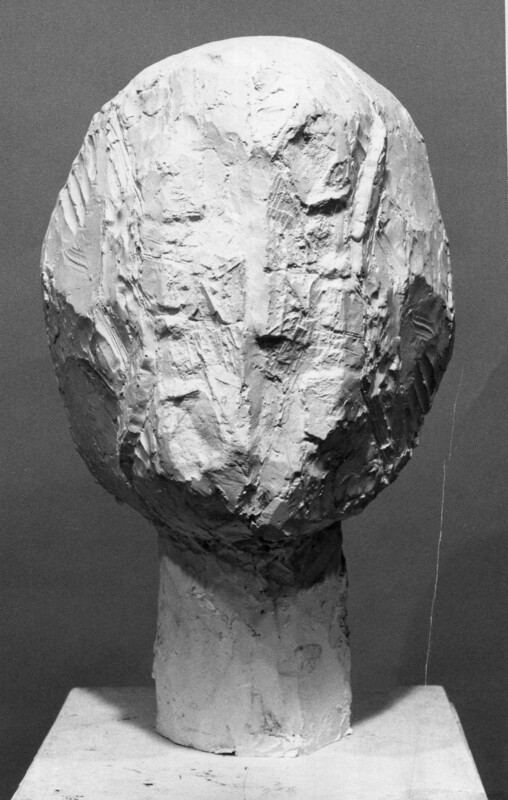 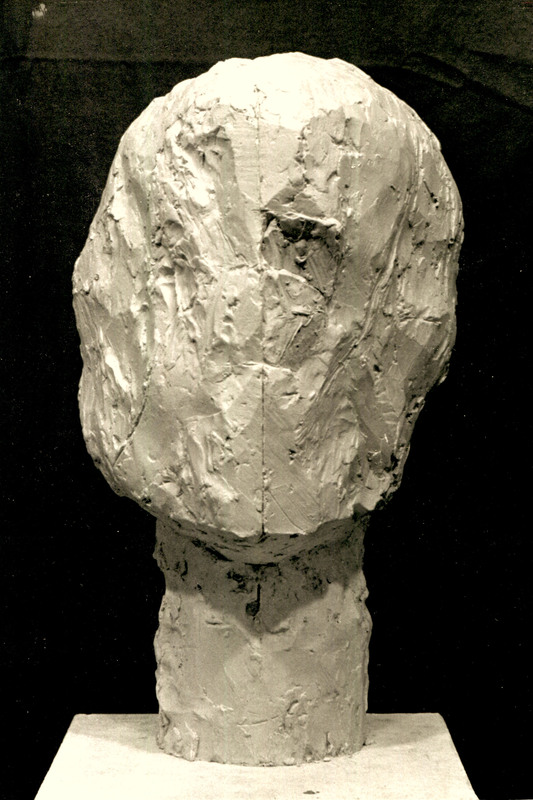 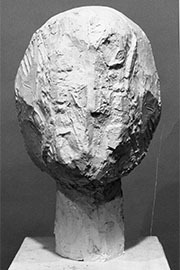 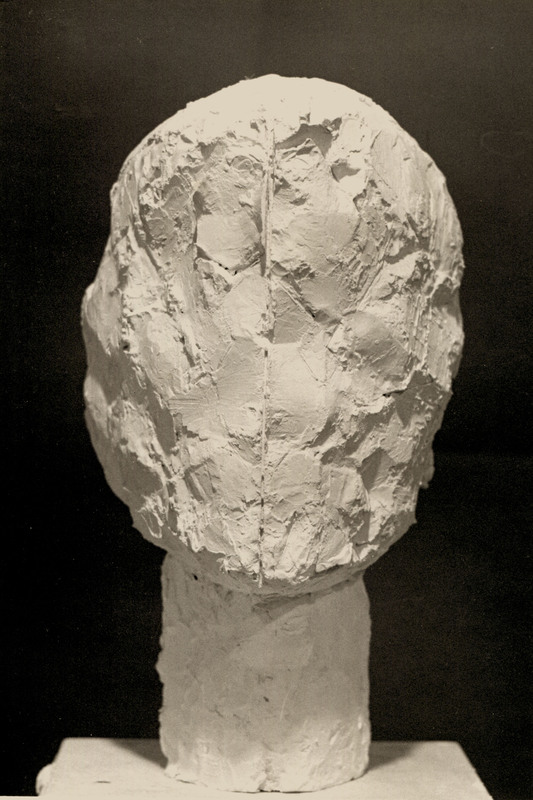 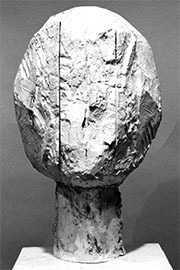 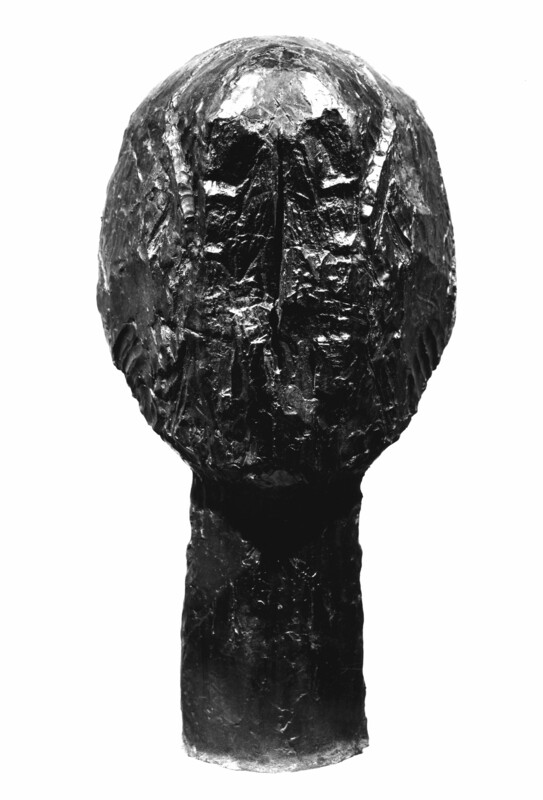 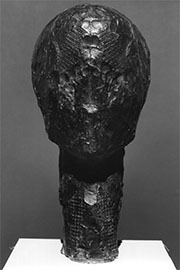 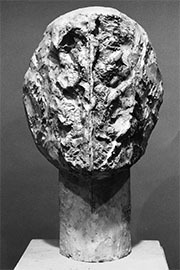 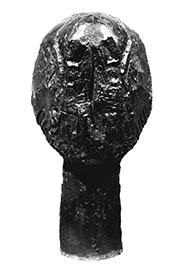 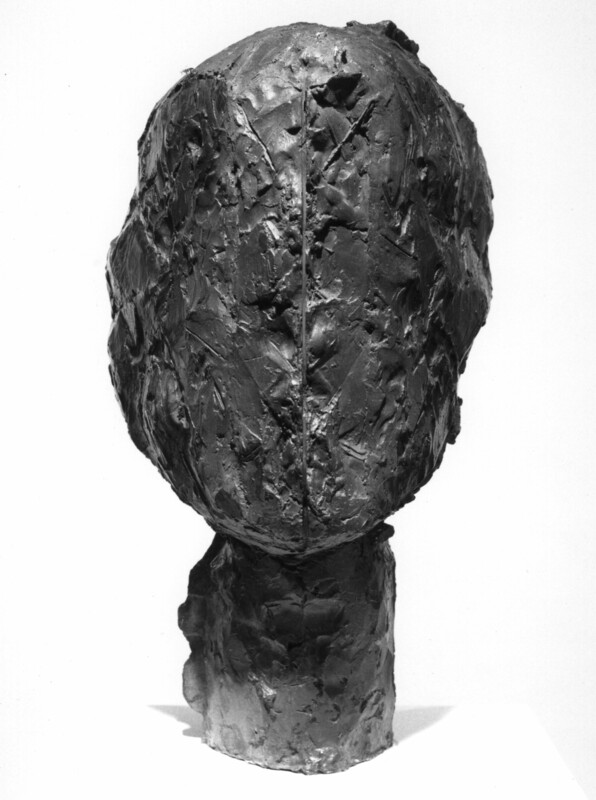 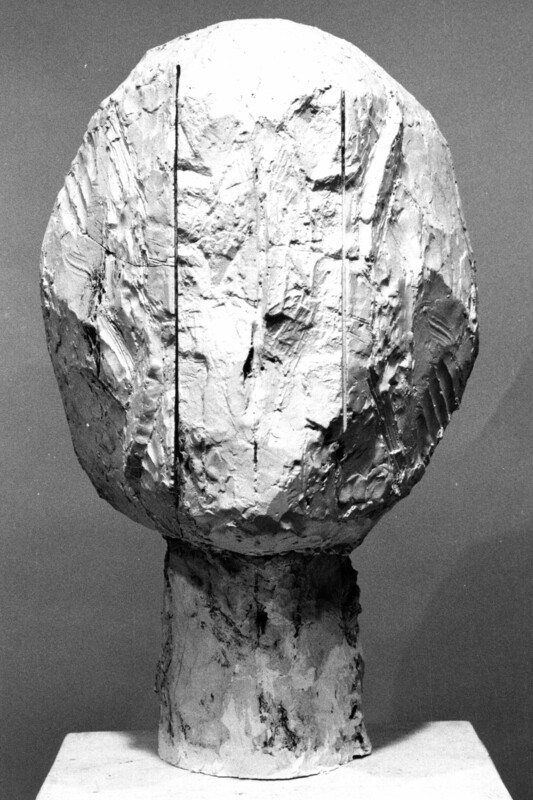 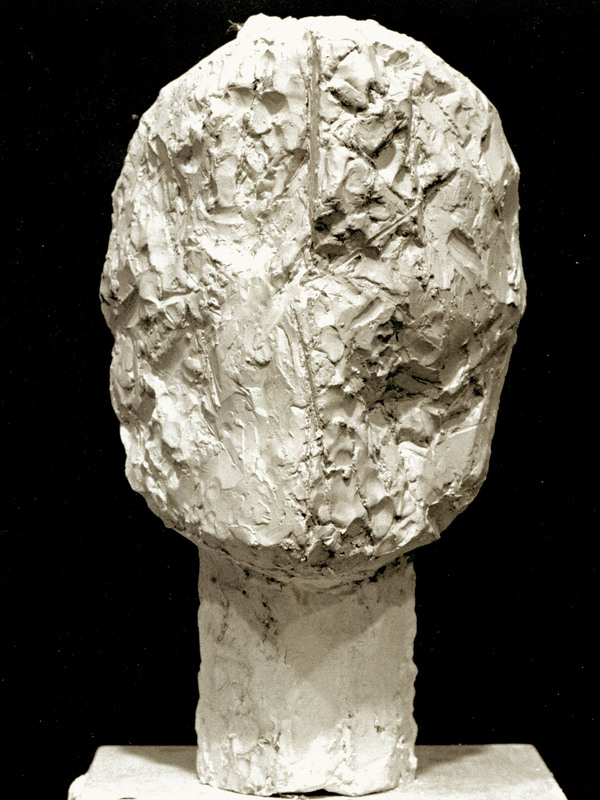 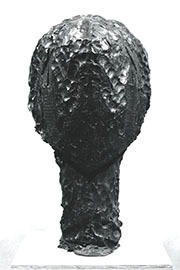 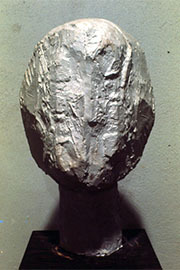 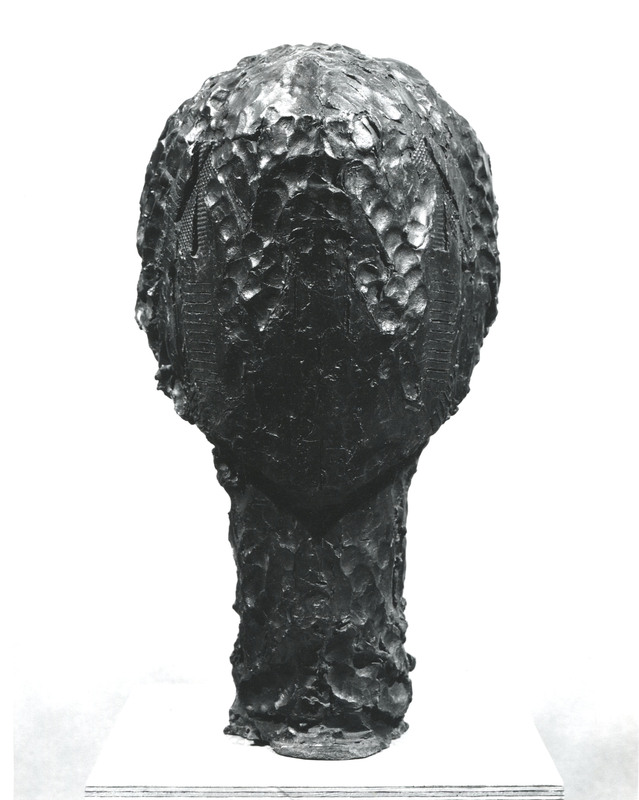 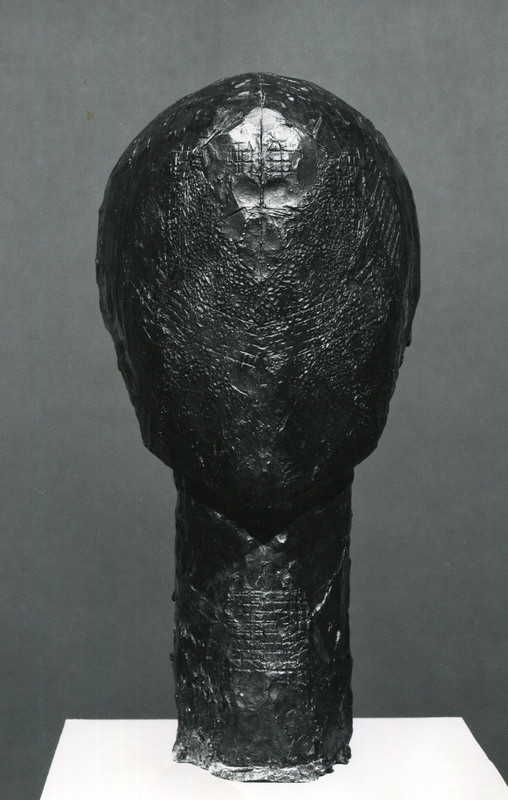 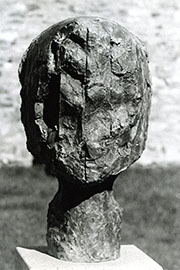 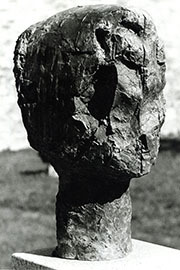 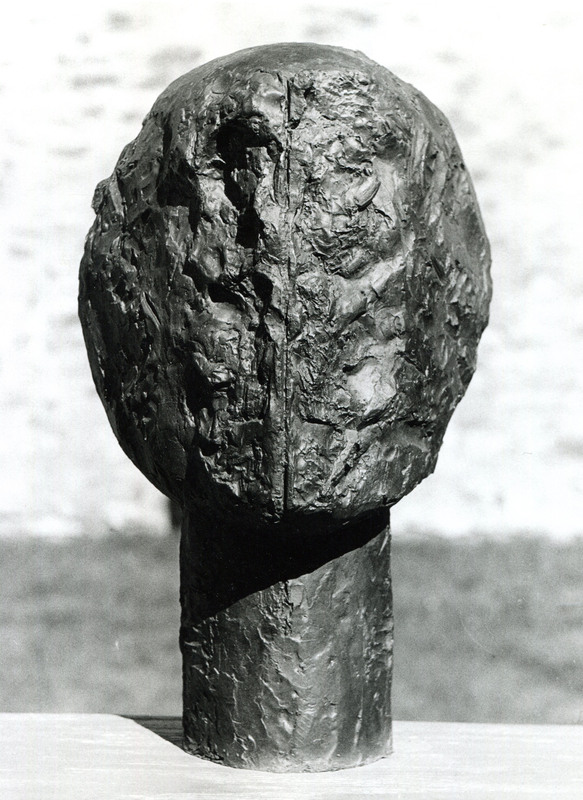 These hermetic heads exist in a plaster original; however, many have been cast into bronze, in editions of nine. Many of the heads are untitled. 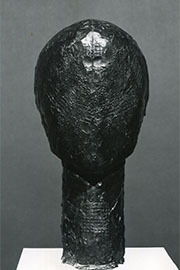 Others bear titles such as Deadly Nightshade, Stalingrad, B-52 Head, and Qemarantine. 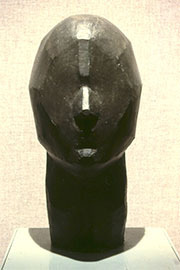 A number form groups with other heads, but most exist by themselves. 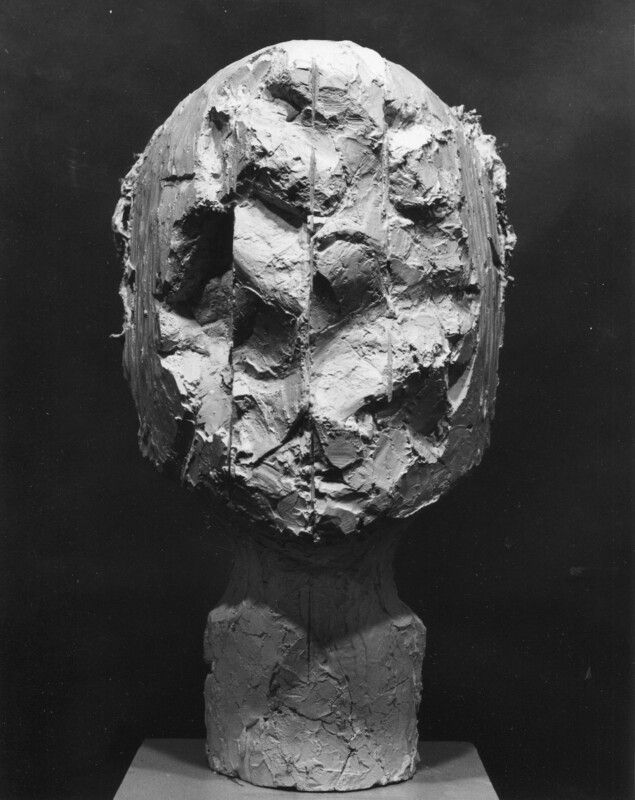 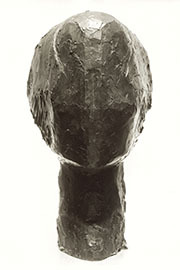 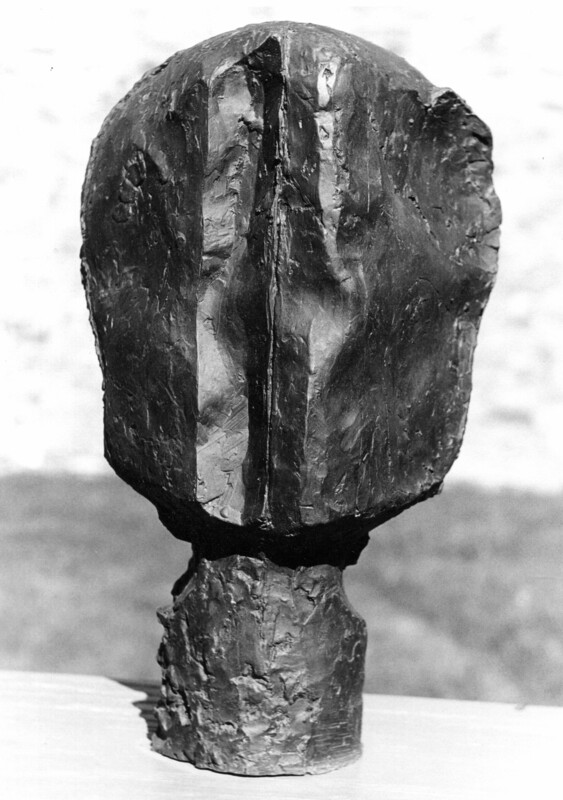 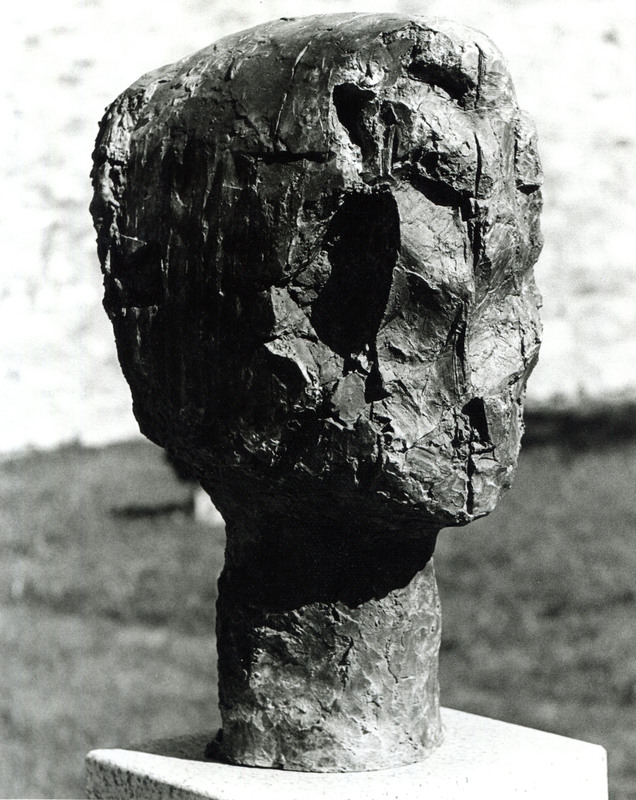 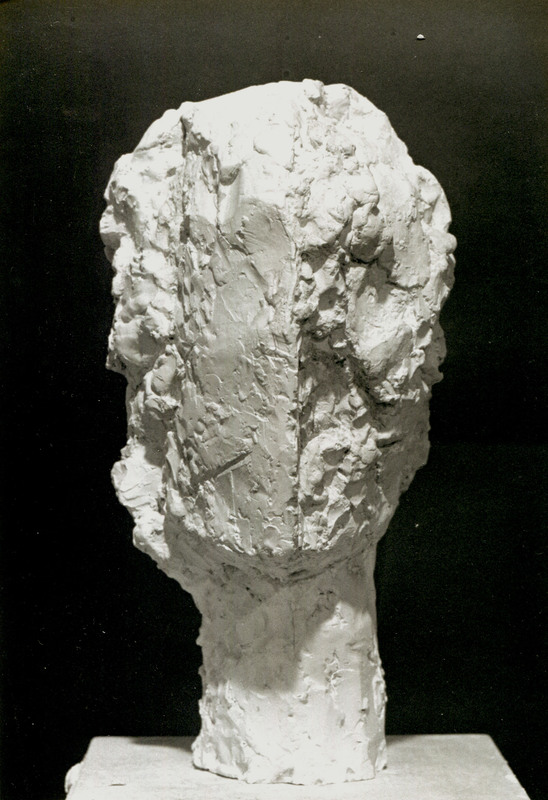 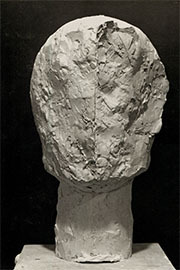 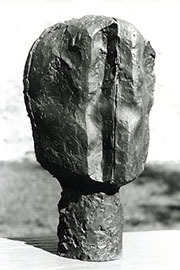 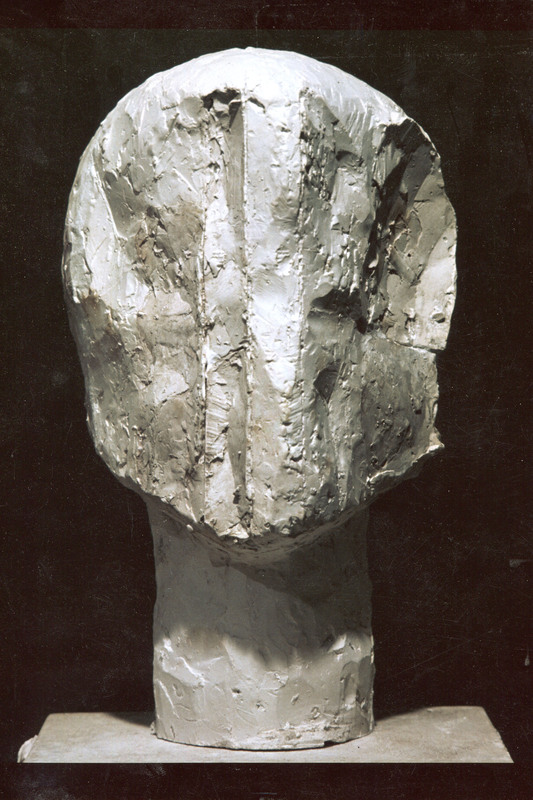 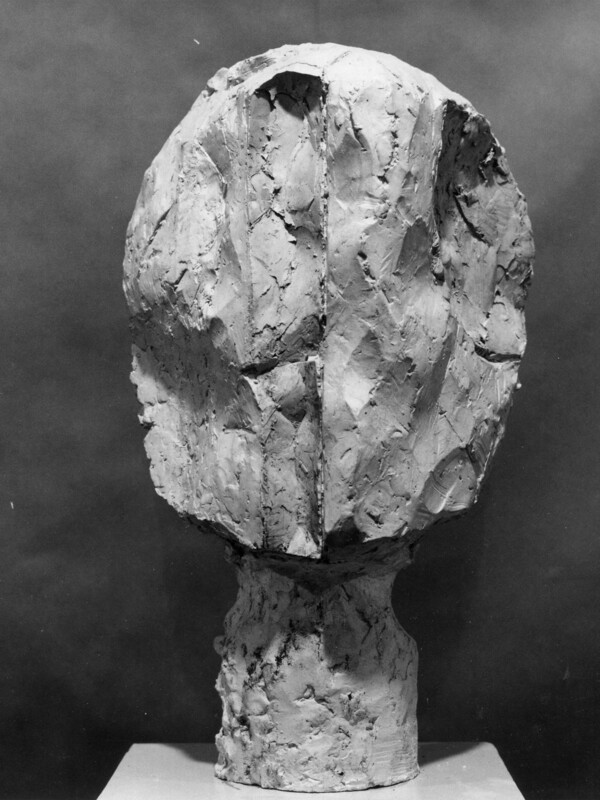 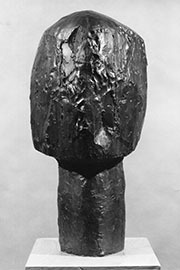 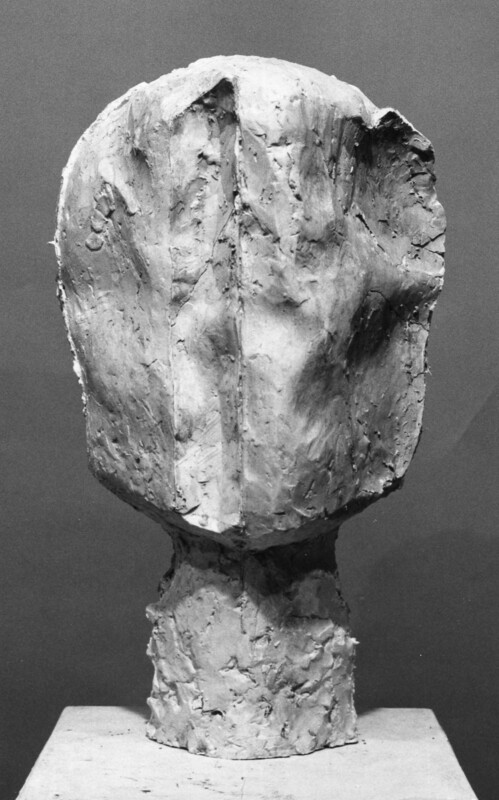 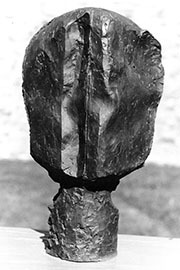 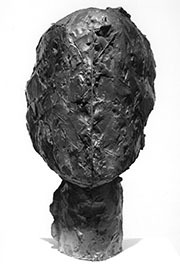 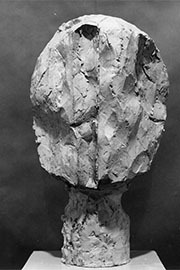 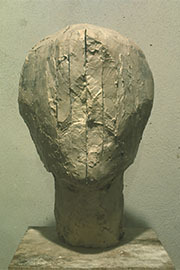 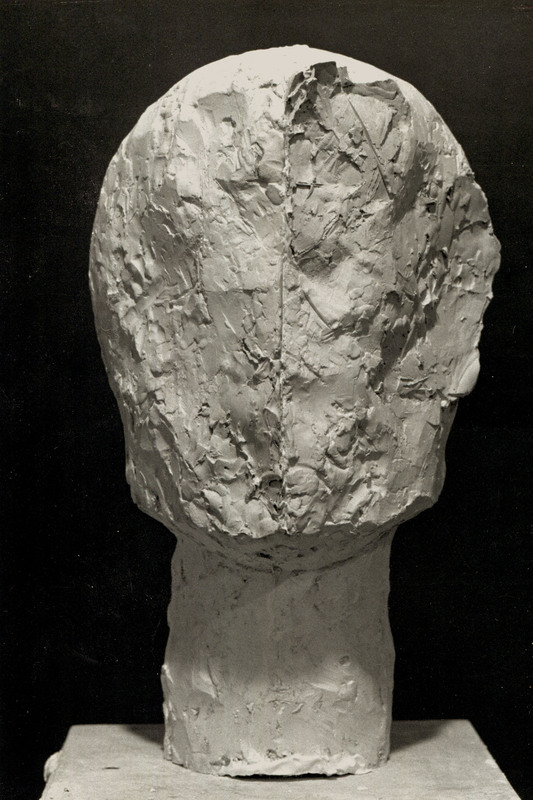 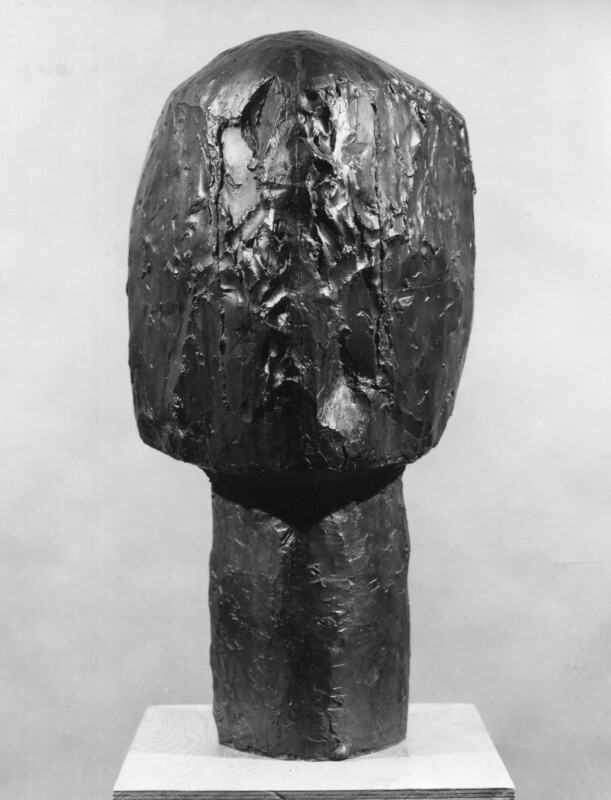 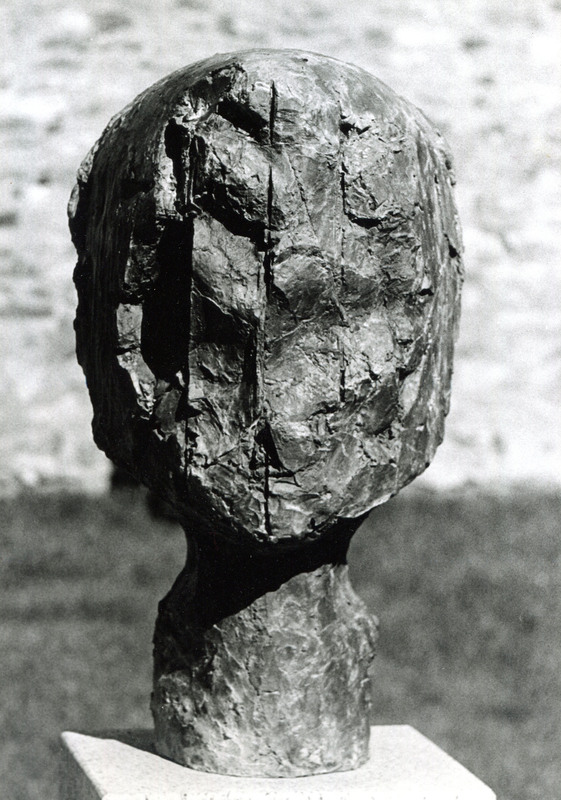 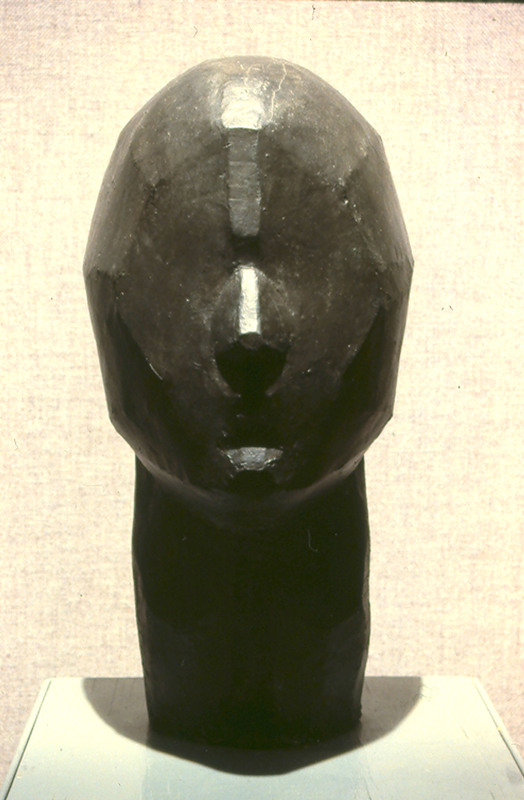 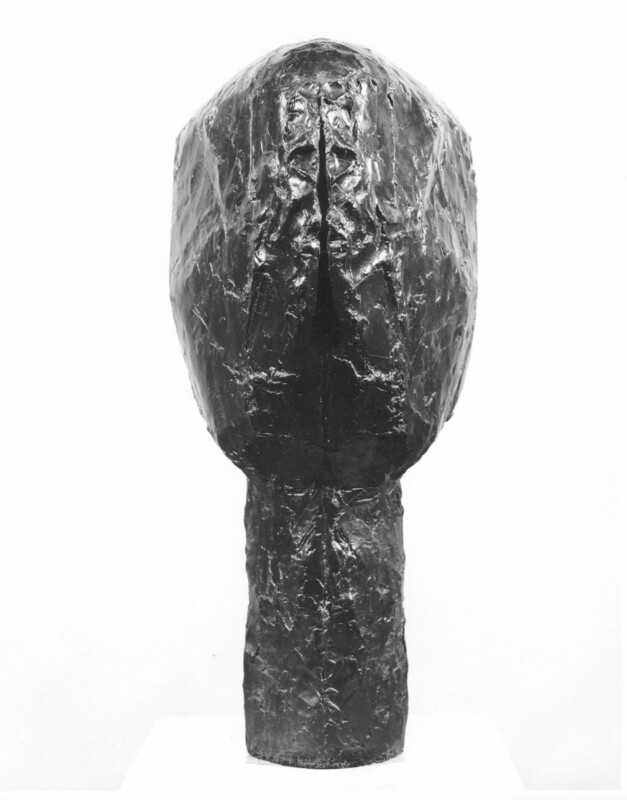 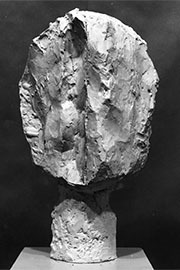 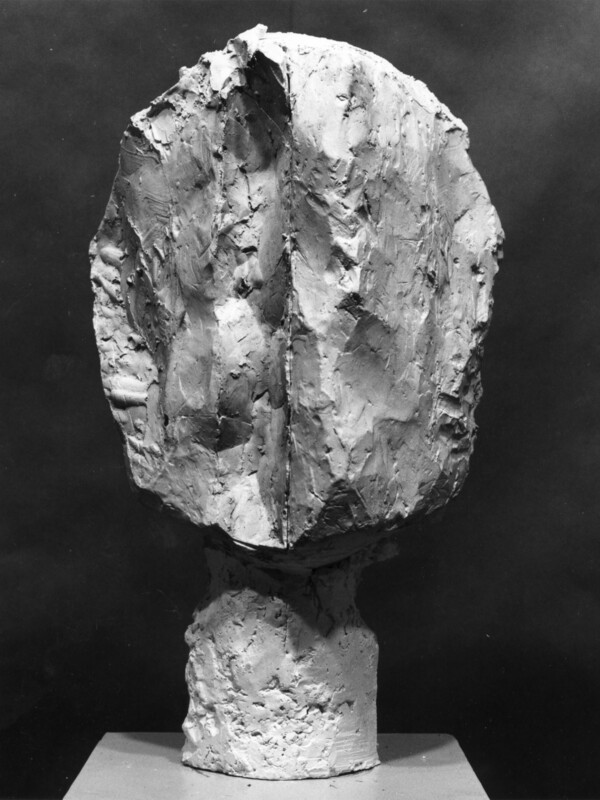 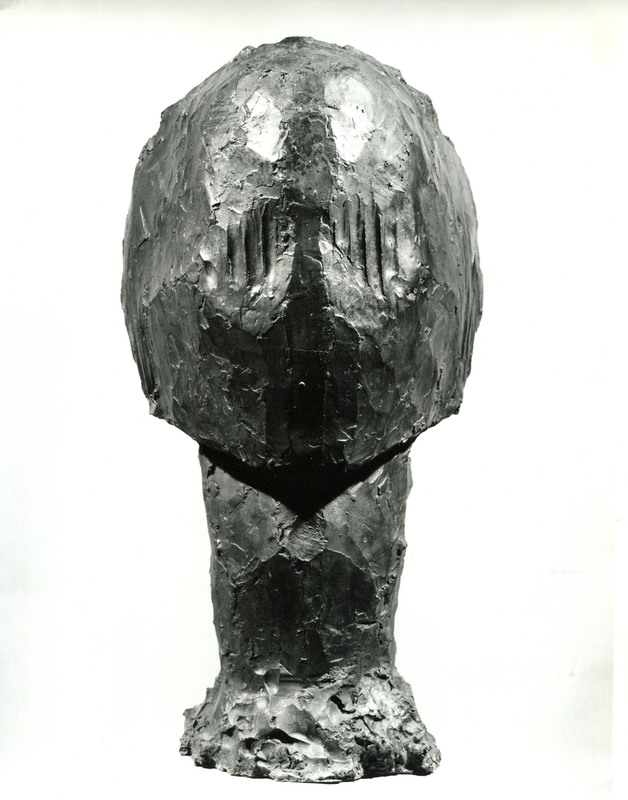 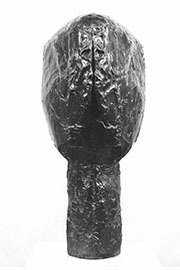 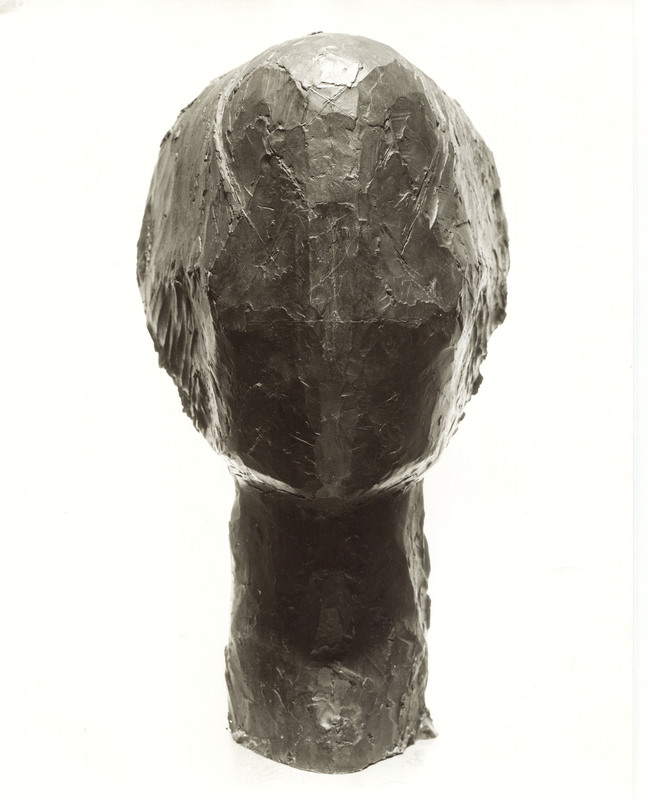 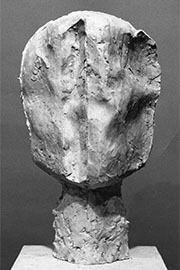 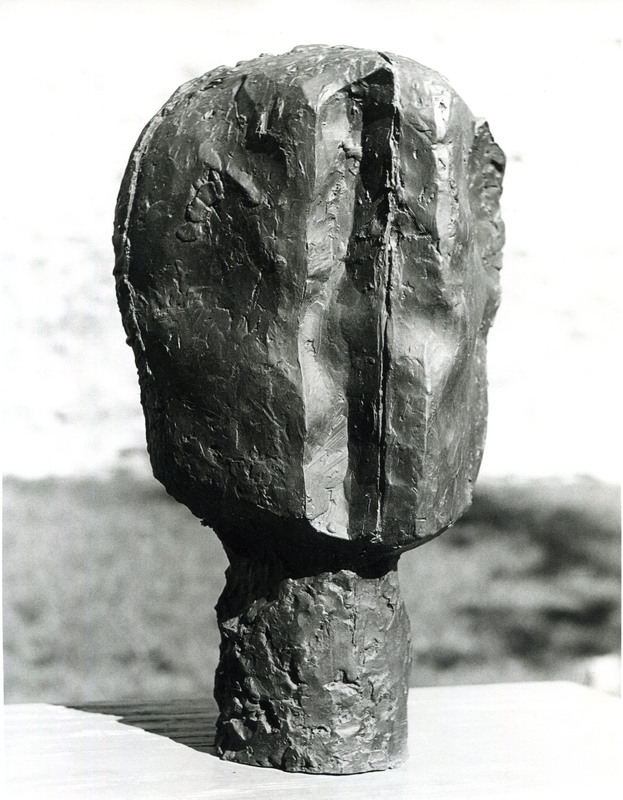 The heads display disparate sources from modern art: Analytic Cubism of 1907-1912, Medardo Rosso, Duchamp-Villon; and also older art: Nok culture sculpture, Egyptian reserve heads, F.X. 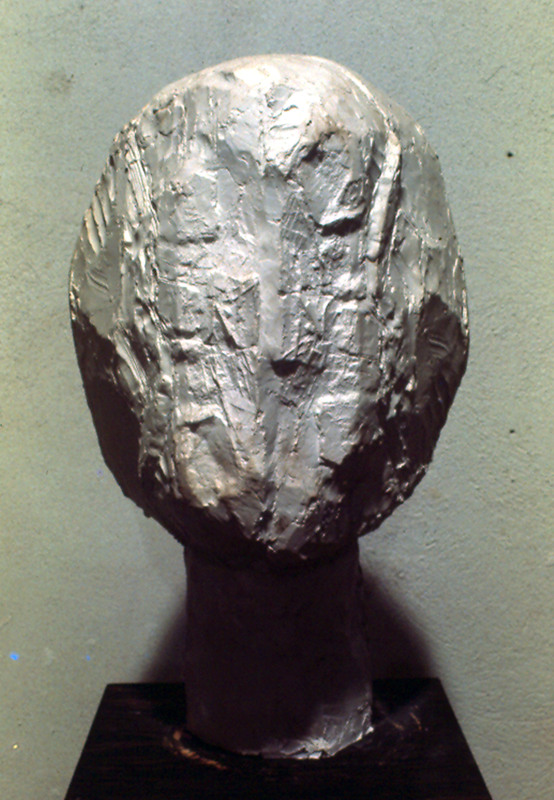 Messerschmidt, Roman portraits, and others. 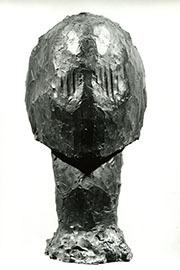 Copyright © 2003, Christopher Cairns.